Paris is always a good idea. There is something magical about the City of Love; an irresistible charm, an inexplicable beauty. Every turn is a surprise, and every corner is picturesque. 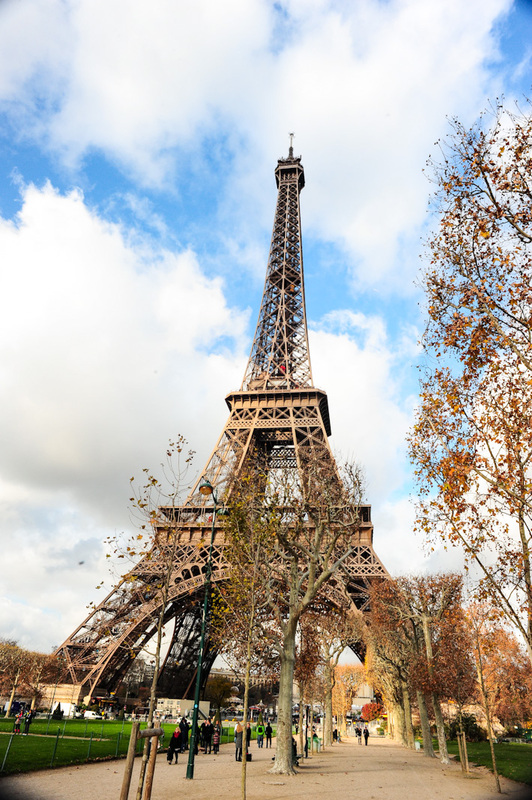 Taking a trip to Paris is akin to picking up an international best-selling novel – with every chapter, you get sucked in even more, and you never want to put the book down; you only want to read on. It is like a never-ending quest to reach the ends of the city, and the only wish is for time to stand still so that you can be lost in this awe-inspiring spot on the globe. Exploring Paris was an exhilarating experience for us, and apart from the language barrier that had us stuck in several situations and left us to communicate via sign languages, our week at Paris was nothing short of fulfilling. For first timers to the city, here are some of the things that you can do and see when you have 48 hours in Paris. 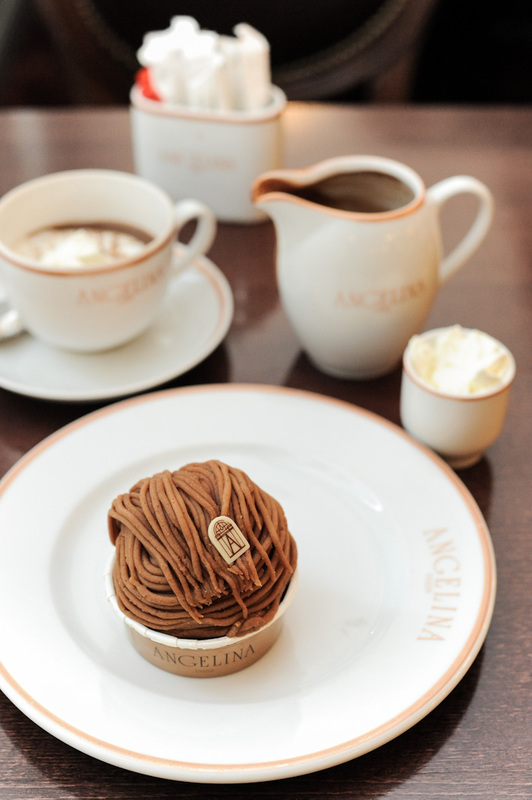 When in Paris, sip luxe hot chocolate at Angelina and queue up for world famous Ladurée macarons. But if you are a fan of heterogeneity, you will be delighted to know that Paris is a land of infinite possibilities when it comes to artisan sweets. 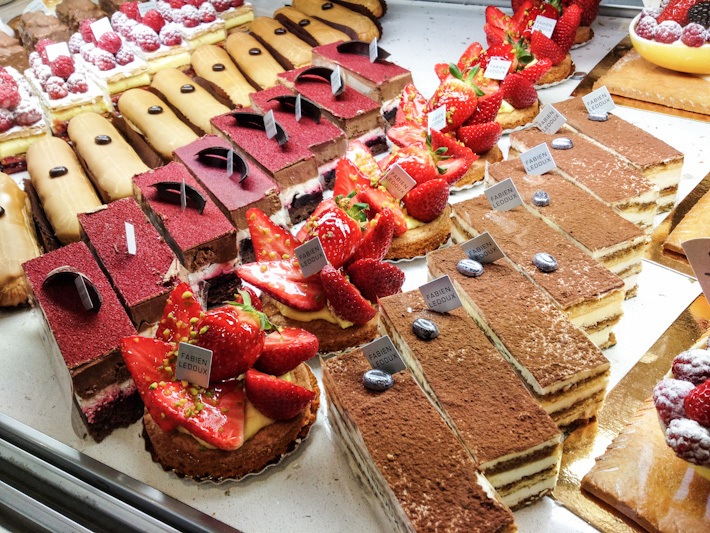 Patisseries and boulangeries are everywhere, and no matter which street you are on, you will be spoilt rotten for choices. You may not have guessed, but even the most basic croissant from any random shop in the regular Parisian neighborhood can easily beat Singapore’s best. We also went to sugar heaven with the best lemon meringue tarts and berry crumbles we ever tasted in our lives. Paris is also home to many fashion giants. 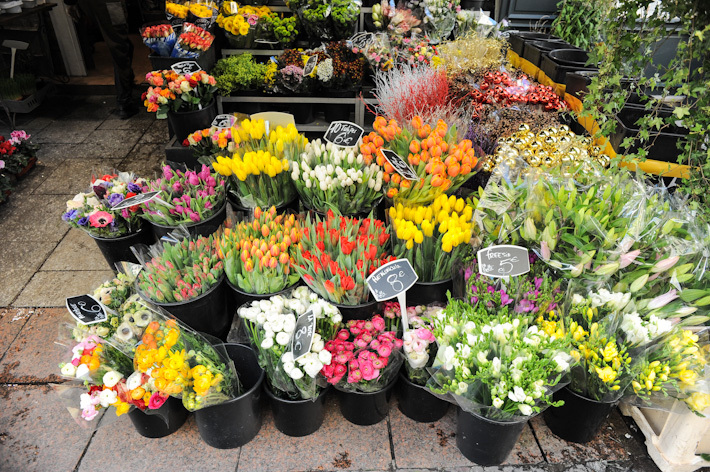 Spend a day or two over endless shopping along Avenue des Champs-Élysées, Montaigne and Galeries LaFayette. 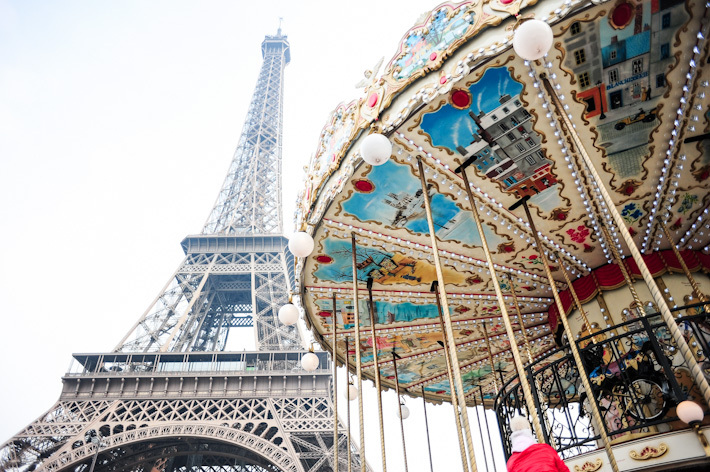 You will be thrilled to know that Paris has the most competitive prices for luxury items, so please remember to increase your credit card limit before your trip. Chanel lovers, gear up and be prepared for long queues and don’t forget to visit the one-and-only Coco Chanel house at 31 Rue Cambon. Take morning strolls along River Seine, and cross over to Notre Dame, also known as “Our Lady of Paris”. Be in awe of the cathedral’s French Gothic architecture and park yourself on the outdoor benches for a session of people-watching and a little chat with your lover. 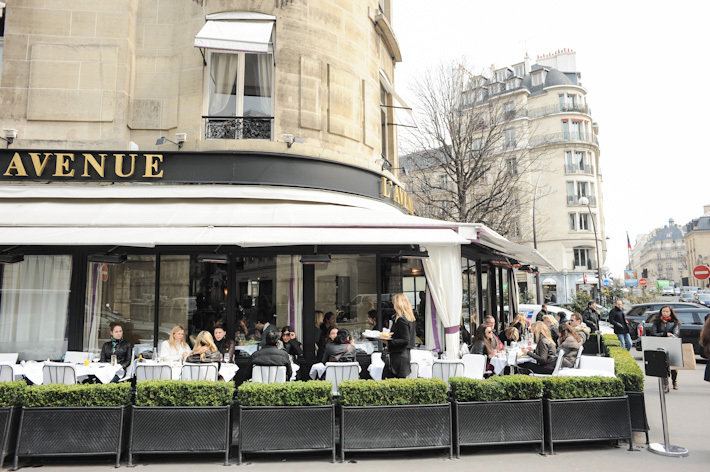 Never leave Paris without having a meal at Le Relais de L’Entrecôte. 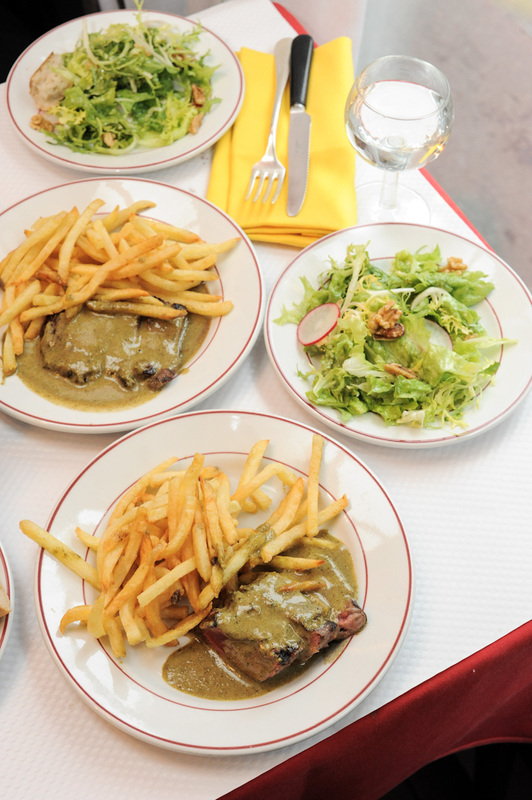 This famous steakhouse has only one item on the menu – an awesome steak frites. The queue is easily an hour during meal times, so make sure to get there early. Cafe Constant is another of our favourite dining spot in Paris. It is a small two-level bistro by Christian Constant (who also owns three other restaurants on the same street), and it serves excellent good. 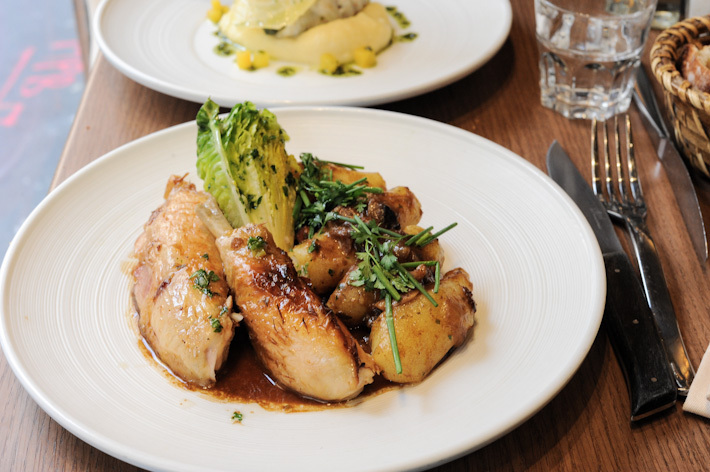 Go during lunch for the value-for-money sets – a 2-course lunch is only €16. And a trip to Paris would not be complete without endless photo moments with Eiffel Tower – the world’s greatest beauty. No amount of words can articulate the majestic feeling of standing before the iconic structure, for its grandeur is one-of-its-kind, and nothing else comes close to being right there at Tour Eiffel Paris – at that part of the world where everyone dreams to be. There is really nothing quite like leading the high life in Paris – even breathing the Parisian air is quite a frivolousness that we will indulge in all over again, and again. Its not the best cafe in Paris, but it offers ambience and a rest for your weary legs, especially if you are visiting Versailles. If you do a simple Google map search and plot these 3 points, they are actually quite close on foot. Other notable places nearby rue du St. Honore is the Louvre Museum, Tuilleries des Jardins and Place de la Concorde (Egyptian obelisk is there). From rue St. Honore, it will take about 15 – 20 mins walk and you can also pass by the abovementioned flagship Chanel store along rue Cambon. 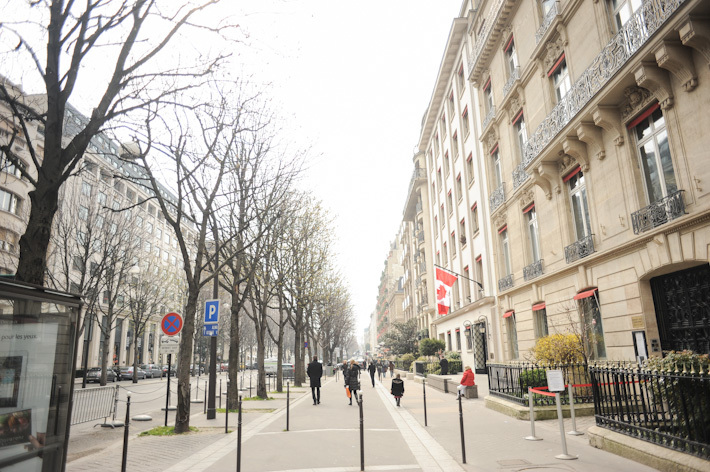 rue St. Honore is a luxury fashion street, there are quite a few designer boutiques there too. Goyard is along this street too. If you are a macaron lover, please visit this street too – theres Pierre Hermes in a street of rue du St. Honore, Jean-Paul Hevin and Michel Cluizel. Jean-Paul Hevin is quite popular chocolatier and the chocolate macaron (available in different variations) are quite delectable. I visited a small cafe along rue St. Honore called La Coupe D’or and the mont blanc they serve there wins Cafe Angelina hands down (Angelina’s was too sweet for me). Theres also seats outside the cafe for you to people-watch. If you are a fan of French Skincare brands, in need of retina A ointment Avibon you can visit City Pharma in rue du Four. It is also near Saint Sulpice, one of the church attractions in the city. I would recommend to visit Notre Dame because it is a beautiful church. There are free walking tours for Notre Dame. I joined “www.cityfreetour.com”. The guides run on tip basis, so you technically pay what you think the guide has provided you for. My friends and I joined Chris on a short 1hr tour of Notre Dame and he has provided us with some interesting facts of the Notre Dame. The ice cream shop nearby called Fleur de I’le. But if you are a arty person, Lourve would be a better choice. If you are a fan of huge H&M, LV flagship, Sephora flagship stores, this street is quite a treat. The huge pizza restaurant along this street is quite good and also on the pricey side. I feel that Cafe Angelina has definitely lost its charm and is more touristy now, no much authenticity left there sadly. For a real treat surrounded by parisians, head to the gourmet Mariage Freres tea salon in Le Marais, where a huge tea selection awaits you along with delicious pastry… and locals. 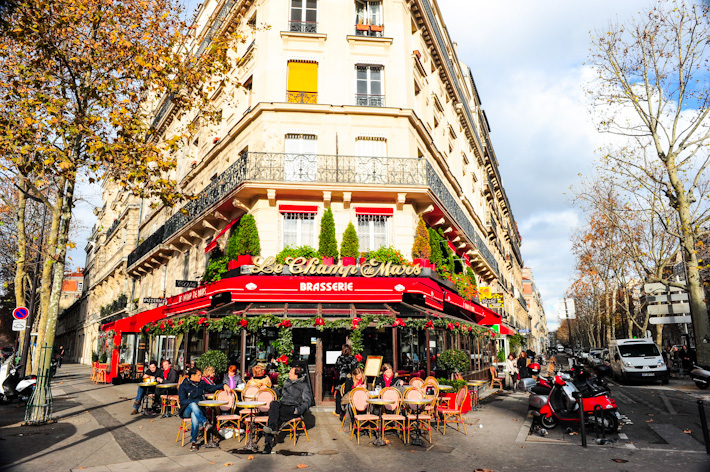 Paris is also a great place to have your coffee ‘au comptoir’ the parisian way (i.e standing at the bar) – best place to hear the gossips, get some advices on where to go in the arrondissement while enjoying a freshly baked croissant or crispy baguette with salted butter. If you know how to appreciate real croissants and baguettes, look for the boulangeries (bakeries) that received prizes – best ouvrier de france, best baguette of France, etc. – yes, France celebrates this art with a nationwide competition every year. I think Paris has some of the most beautiful European architecture. The Sacre Coeur church is so beautiful and so is the view of Paris from the hill where the church sits on, called Montmarte. It’s the highest point in the city. Pierre Hermé macarons are awesome too! The streets where the shop is at are really quaint and nice to walk around. I personally enjoyed taking a day trip out to Château de Versailles (Palace of Versailles). It’s less than an hour out of Paris, easily accessible by the metro and a real treat to travel on the double decker train carriage. The gardens are BEAUTIFUL and so is the palace itself! Take a gazillion photos and then chill by the lake with a bottle of wine and some cheese. There were people rowing on the lake in the summer. Seems like a painting right? Nope we saw it and experienced it for ourselves! One tip I have when travelling: when asking for help, always say “Bonjour” first, then gesture somehow to ask if they speak English, and smile a lot before you ask for help. If you start speaking to them in English right off the bat they get defensive and might not help. When I was in Paris I had that experience. If you feel more confident in your language skills, you can say, “Bonjour, parlez vous anglais?” (pronounce: bon-joor, par-lay voo ong-glaise). It means: “Hello, do you speak English?” We tried that and the people we approached became friendlier and were more willing to help.